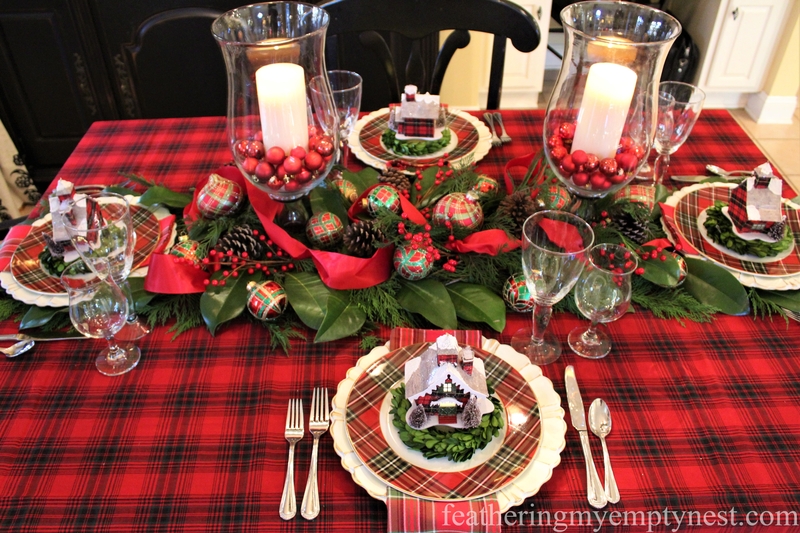 For my Christmas Breakfast Table this year, I decided to use a plethora of plaid. 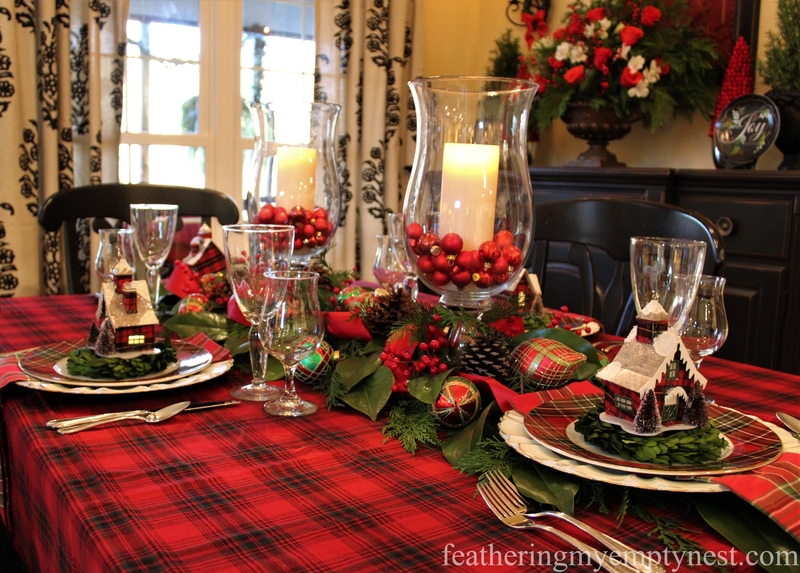 I was so charmed by the lighted plaid house ornaments which I used in my mantel decoration this year, I decided to incorporate them into my table design as well. 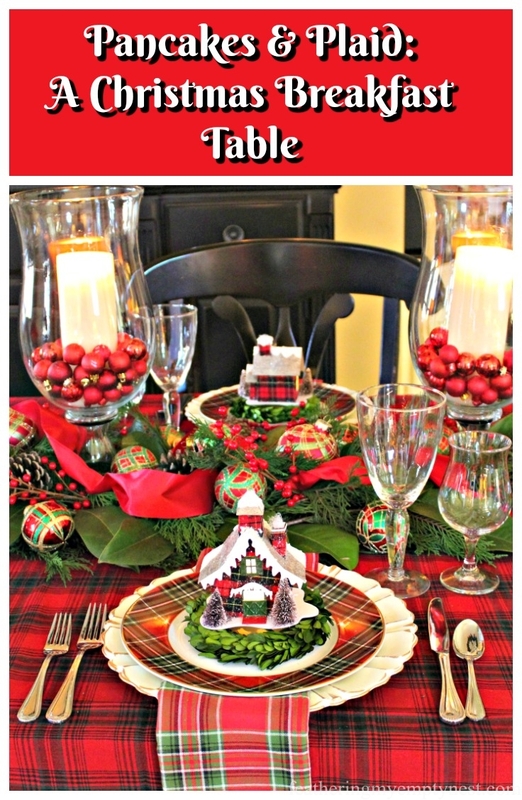 The foundation of my tablescape is a vibrant red plaid tablecloth. Down the center of the table, I created a runner of Leland Cypress, and Magnolia leaves cut from my yard. 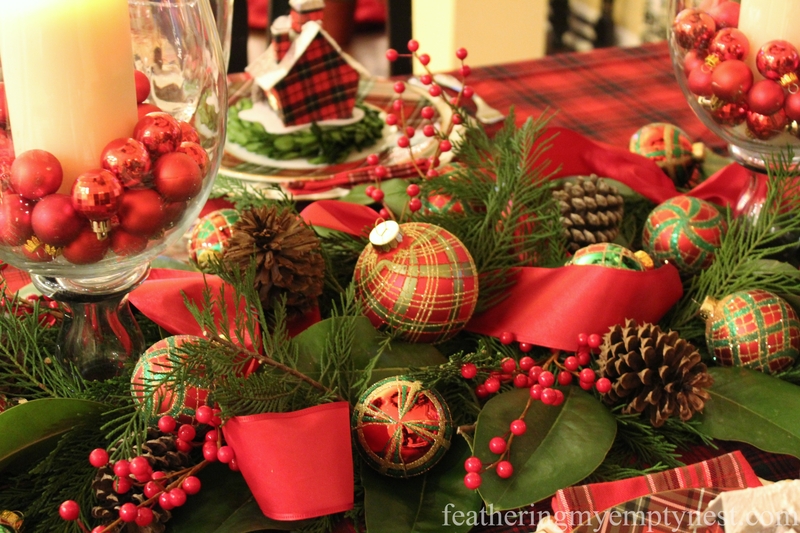 To the greenery, I added a variety of red and green plaid Christmas ornaments, pinecones, faux red berry sprigs and a festive red ribbon. 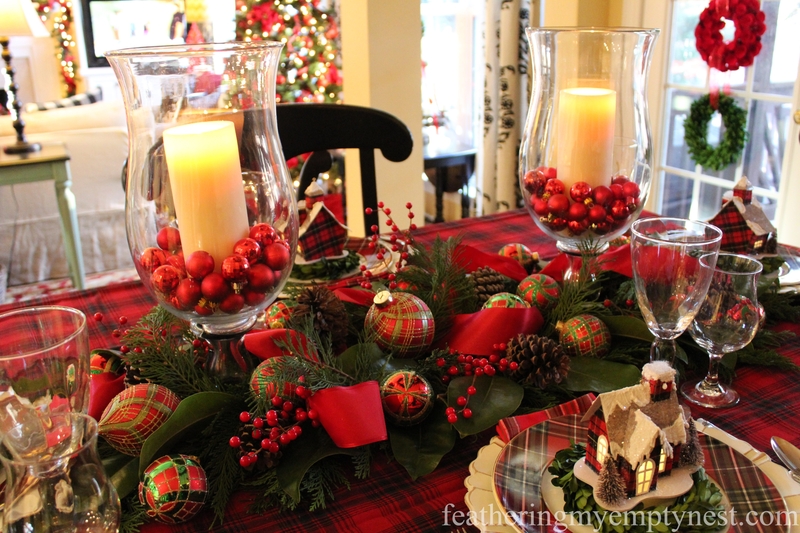 Large hurricanes filled with white pillar candles and mini red Christmas balls add height and a warm glow to the centerpiece. 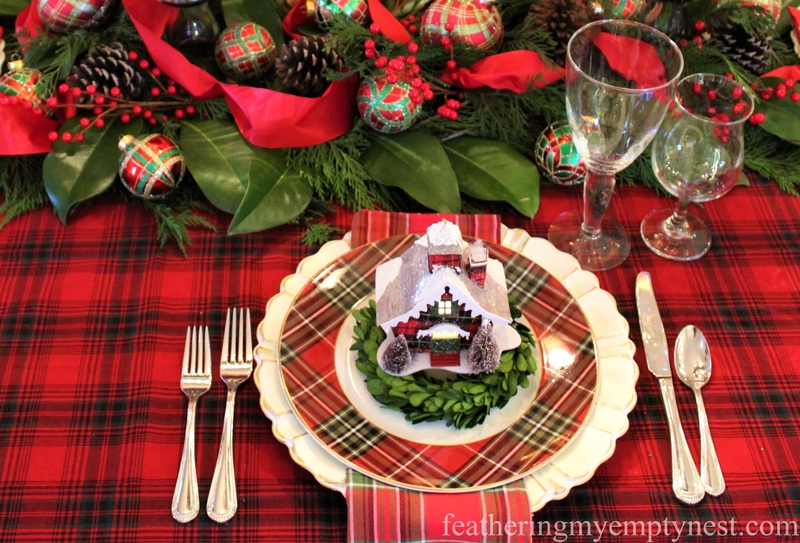 The place settings consist of a cream resin chargers topped with plaid napkins and dinner plates. 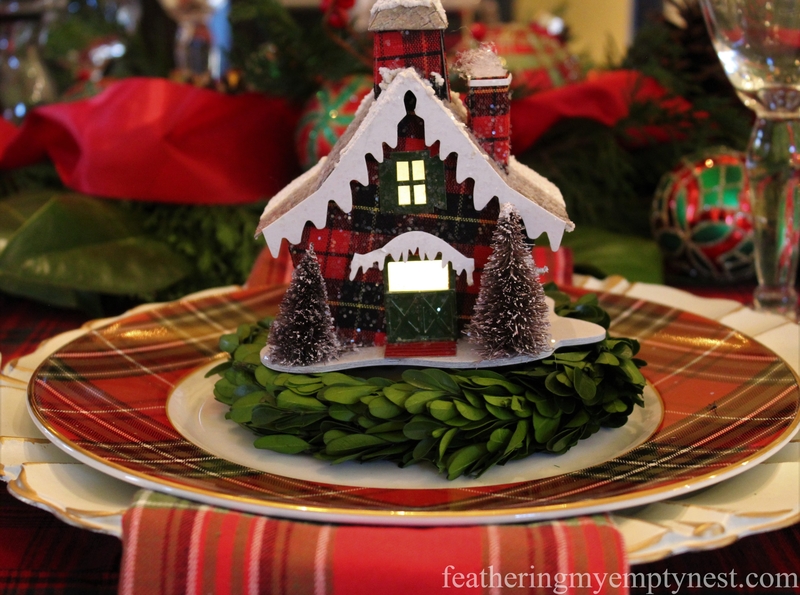 Each plate contains a small preserved boxwood wreath topped with a plaid house ornament. 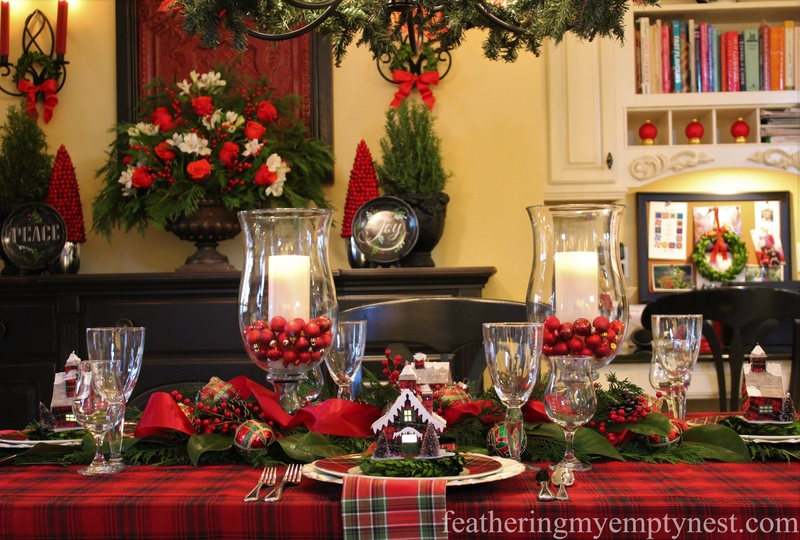 I dressed up the breakfast room buffet with pairs of live Rosemary trees, faux cranberry trees, and chalkboard Christmas plates. 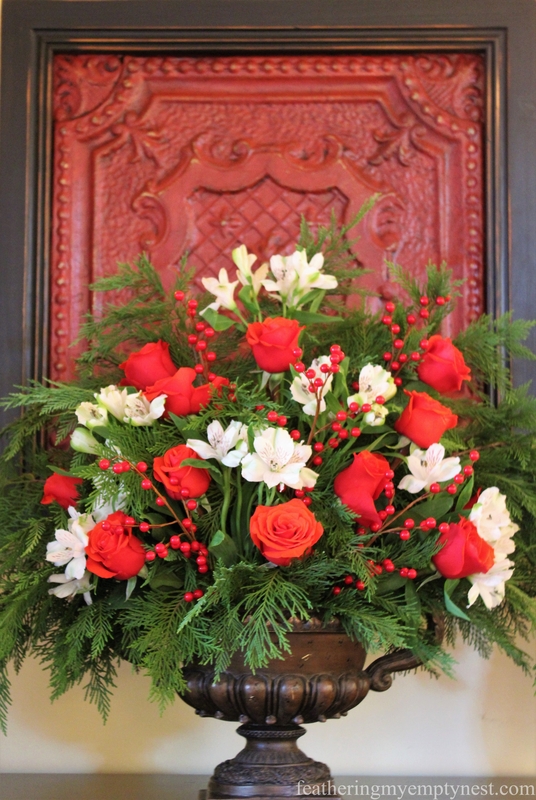 In the center, I created a large floral arrangement of Leland Cypress, red roses, white alstroemeria, and faux berries. 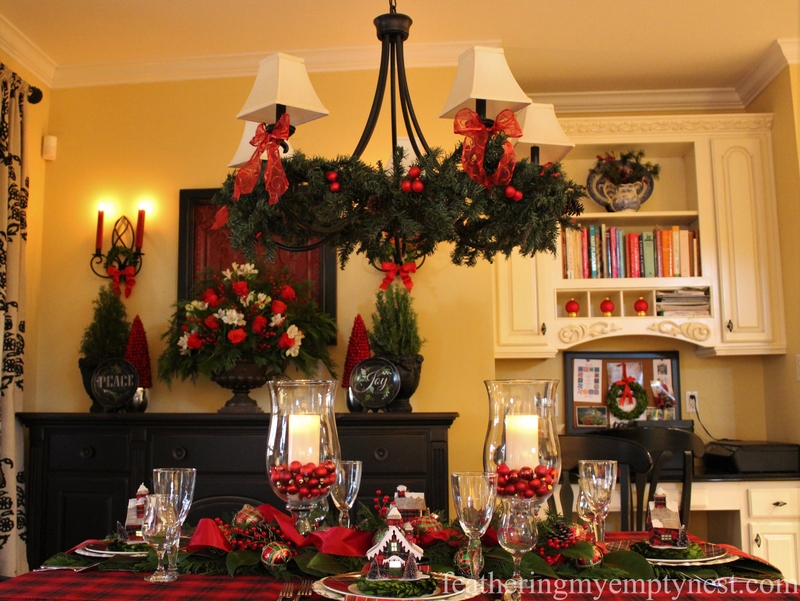 The chandelier is festooned with berry studded pine garland and red ribbons. 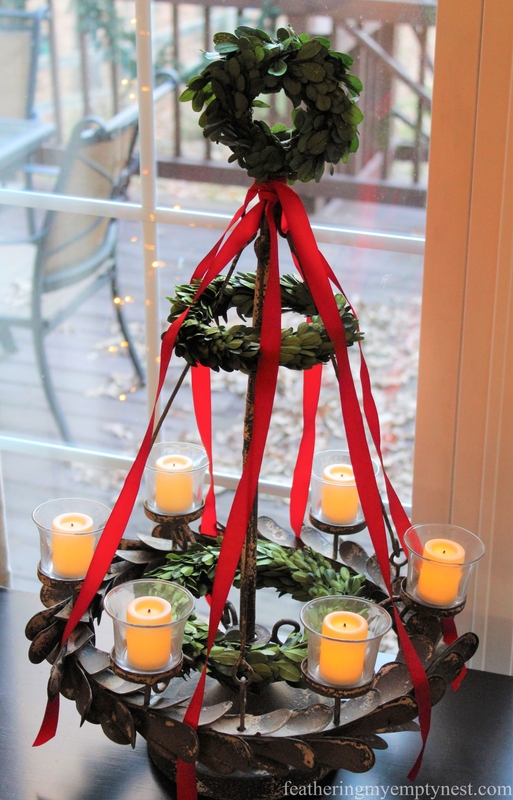 Most of the rest of the Christmas decor in my home is the same as last year, but I did add a red plaid artificial tree and this awesome candelabra, which I embellished with more boxwood and ribbon, to this year’s family room decorations. 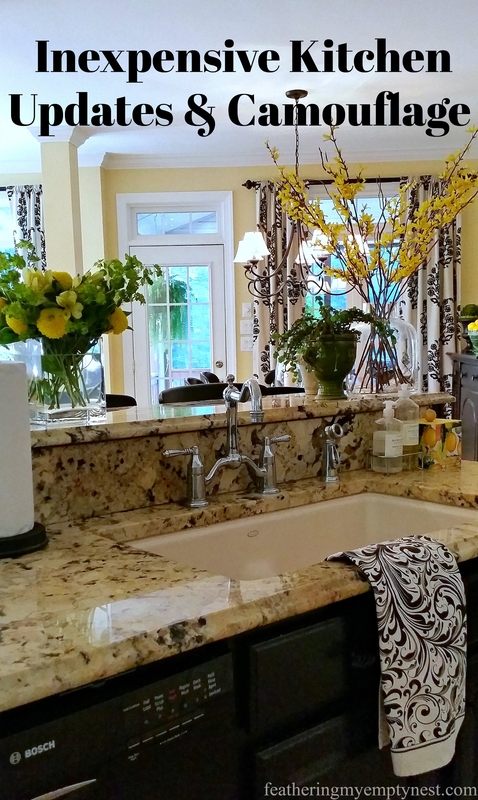 And since the breakfast room is open to my family room, I thought I’d show them to you as well. 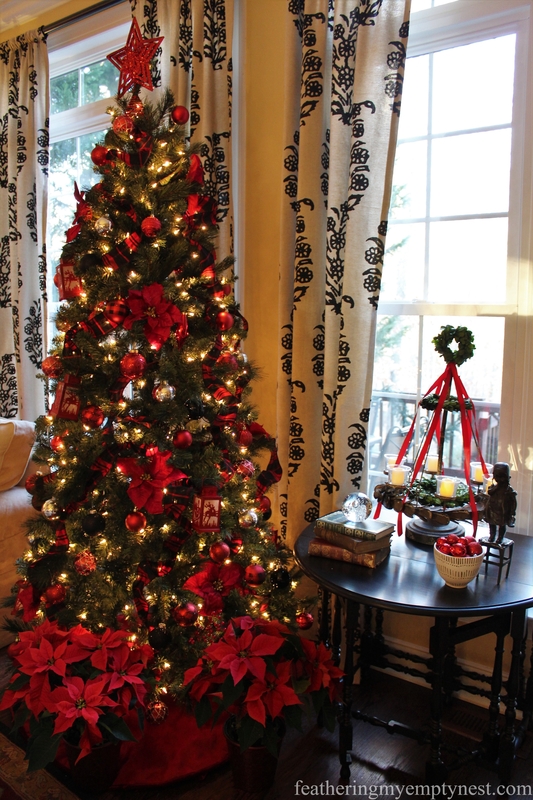 I decorated my new artificial tree with red and black plaid, red and black ornaments, lighted red lanterns and poinsettias. 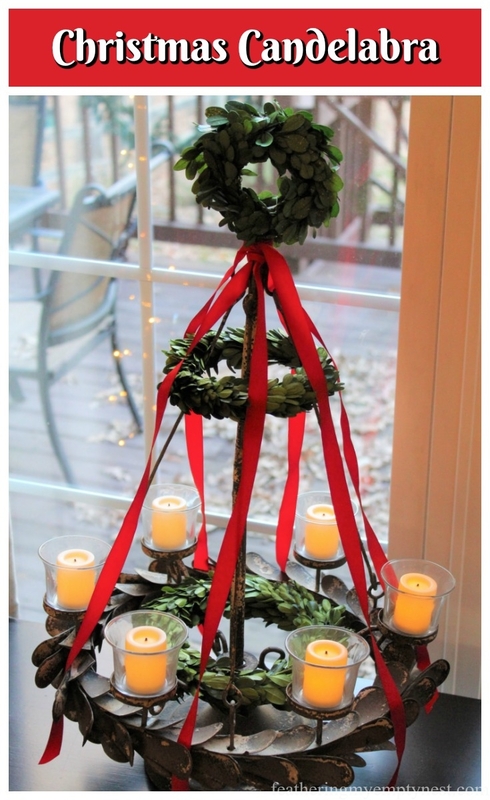 I embellished this candelabra with three different sizes of preserved boxwood wreaths and red ribbons. Since I am changing some things up this year and going mad for plaid, I decided I would make something different for Christmas breakfast too. I usually serve Ina Garten’s excellent French Toast Bread Pudding. But this year I am making pancakes–and not just any pancakes. A hundred years ago, when my husband and I were newlyweds, we discovered this delicious oatmeal pecan pancake mix in a little shop in Princeton, NJ. Ever since we moved away, I have been trying to recreate those pancakes. After many years of trial and error, I have come up with this recipe. The key to the success of these pancakes is toasting the pecans in a dry nonstick skillet before putting them in the batter. In a large bowl, combine the oats, flour, brown sugar, baking soda, baking powder, salt, and cinnamon. Whisk in the eggs, buttermilk, and vanilla and mix well. Spray a griddle or skillet with cooking spray and cook over medium heat. Cook pancakes until bubbles appear on the top layer, about 5 minutes. Flip and cook until evenly browned, about 3 more minutes. I wish you a very Merry Christmas Breakfast and Bon Appetite! 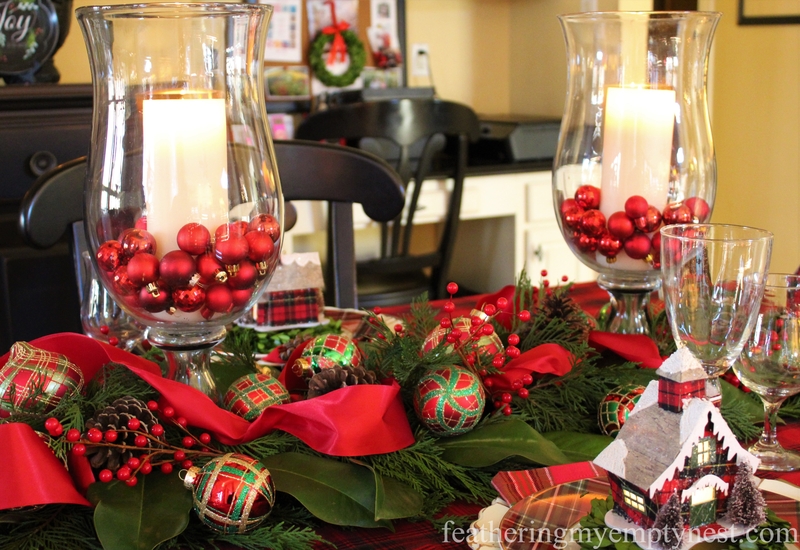 I love your kitchen table, it is so festive. 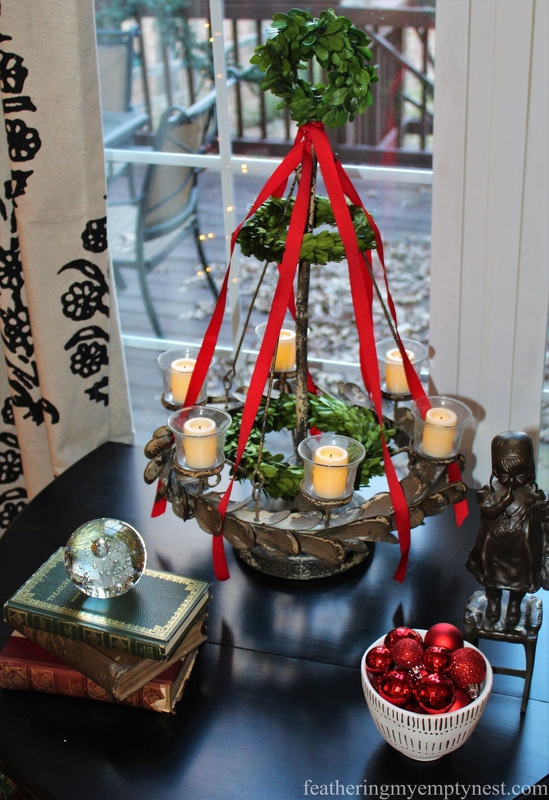 The idea of using trees from your yard to make your center piece and floral arrangements is brilliant. 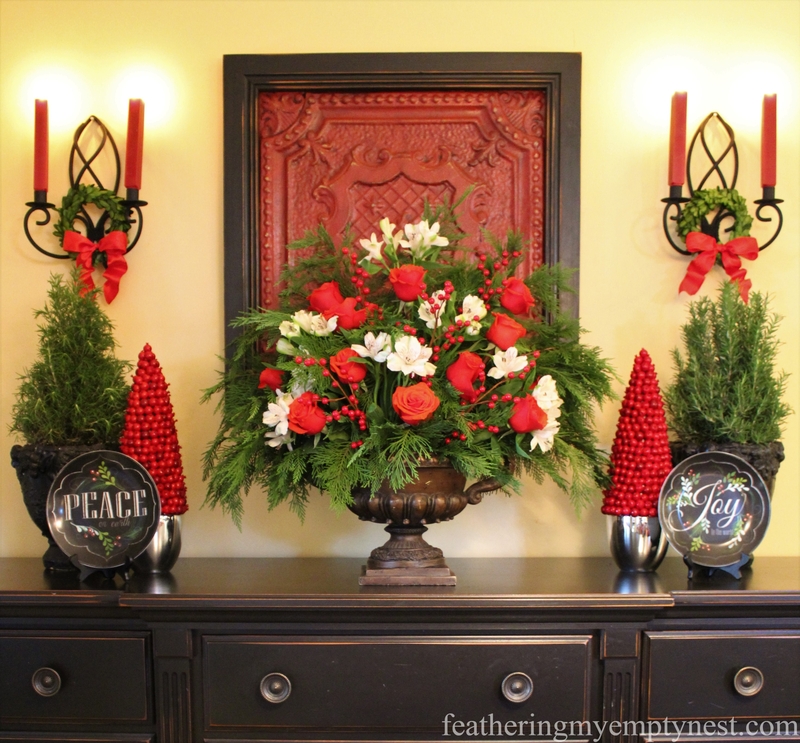 The little red ornaments in the hurricane containers is an unexpected pop of color. I see creative ideas in my head. Thank you for sharing your recipe that you have worked so hard on. It does sound yummy. Thanks so much. I wish you a very Merry Christmas! Thanks so much for your kind comment. I hope you have a magical Christmas! 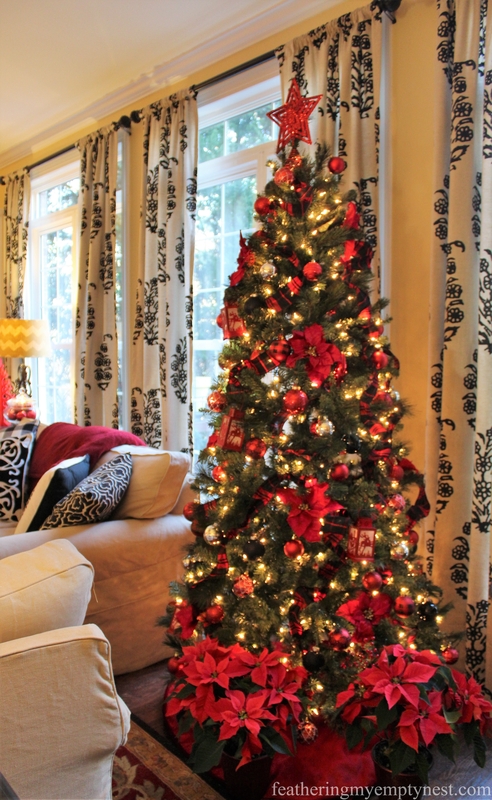 Ah, love the red plaid! So classically Christmas. 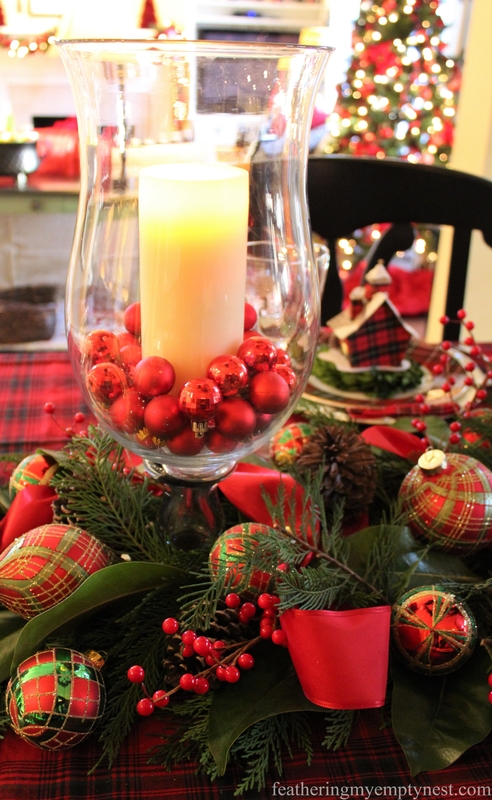 Such a pretty Christmas table. Thank you so much for your kind comment. I really appreciate it. I wish you and yours a very Merry Christmas. I didn’t get my fill of plaid this season and I love all of this. Merry Christmas! Thanks so much Sandra. I agree, there’s no such thing as too much plaid. I wish you and yours a very Merry Christmas! I LOVE your Christmas decorations! The plaid is beautiful! I love how you gave us a recipe at the very end. It was like a surprise waiting for it to not just be a regular pancake recipe, but it was Oatmeal Pecan Pancakes. That is a pancake I have never tried before. It sounds delicious! Have a wonderful Christmas! Thank you so much Natalie for your kind comment. I hope you and yours have a very Merry Christmas! 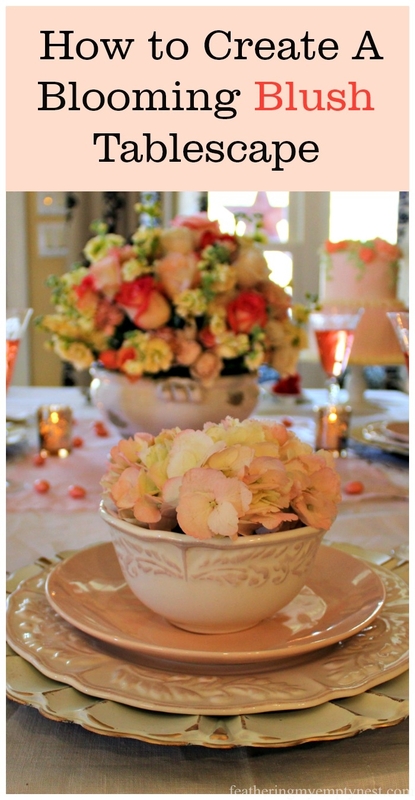 Such a pretty table! Want to come decorate mine? Thanks for participating in our Party in Your PJs! Thanks so much for your kind comment. Thanks also for hosting Party In Your PJs. I hope you have a very Happy New Year!